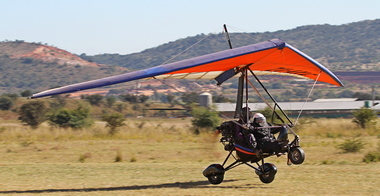 On Saturday morning 2nd June Brian Appleton and I departed from Rand for a 23 minute flight in his 1948 Luscombe Silvair to the annual Rosslyn Microflyers breakfast Fly in at Kroon Airfield. Brian had recently purchased the little Silvair and he has fallen heads over heels in love with Don Luscombe's ground breaking design. When Don in 1938 designed the Silvair his competitors were still building rag and tube aircraft. The Silvair had a monocoque fuselage with fabric-covered metal wings. 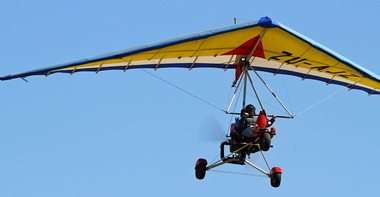 For a cheap, light aircraft, this was a pioneering construction technique. Landing at Kroon twenty minutes later at 09h.300 on approach we saw a large number and variety of aircraft parked on the edges of the perfectly maintained wide 750 metres long undulating excellent grass strip. The runway, 11/29 is just south of the N4 highway between Pretoria to Rustenburg and is 2nm north, north east of the red and blue radio mast. 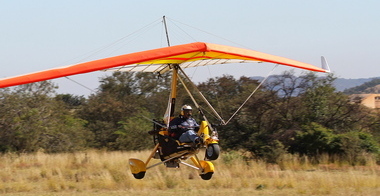 Best known as a Microlights field Kroon also houses a number of conventional fixed wings as well as the Rosslyn Micro Flyers flying school. 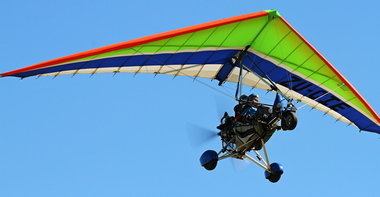 Microlight training is one of the most affordable ways of soaring the skies. Rosslyn MicroFlyers has an excellent safety record and offers initial training, conversions, re-validation flight tests in all categories for the National Pilots License and also offers hire and fly opportunities to their former students. 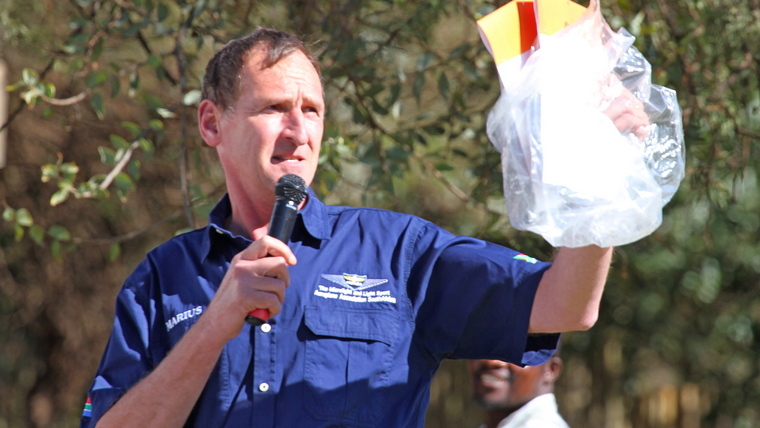 Chief Flight Instructor Marius Nel together with three highly experienced instructors following the RAASA prescribed syllabus are ready to take you on your first introductory flight. 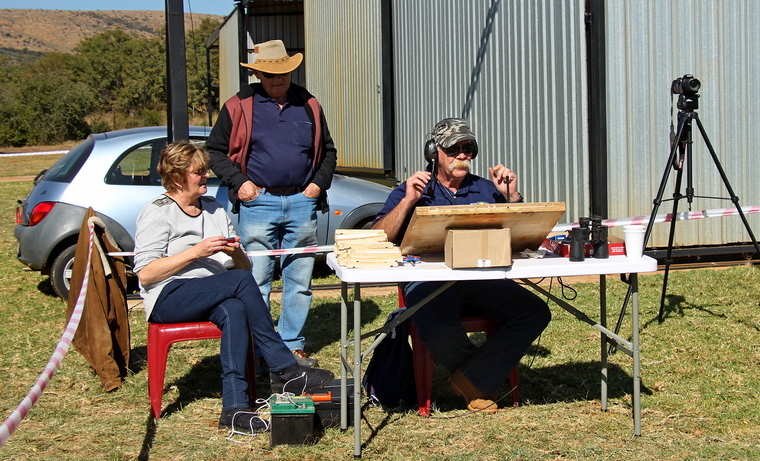 The Kroon fly in was one of four MISASA events on the calendar this year. 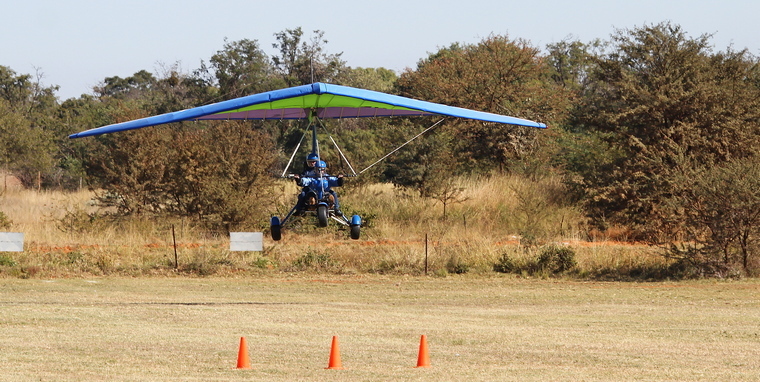 The Limpopo Flying School Fly In at Potgietersrus and the Africa Cup at Hotel Numbi is still to follow. There were a large number of first time visitors including amongst others Karl Jensen, Brian Appleton, Gregory Clegg, Marie Reddy, Nico Brandt, Archie Kemp and Jeremy Woods all from Chapter 322 of the EAA. 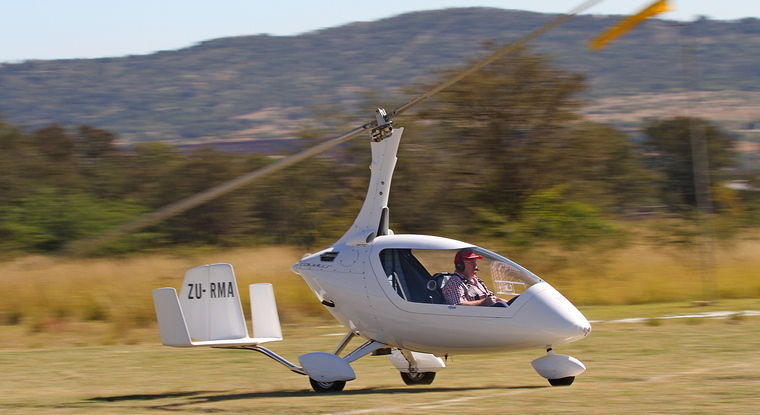 Fifty four aircraft, including a SAP'S Messerschmidt and Robinson R44 helicopter flew during the morning. Eight aircraft based at the field brought the total to sixty two, an admiral number for a breakfast Fly In event. One group of seven trikes all the way from Potgietersrus, and another gaggle of nine arrived together from Brits and Nylstroom. Six Bantams/Bat Hawks flew in from Silver Creek. 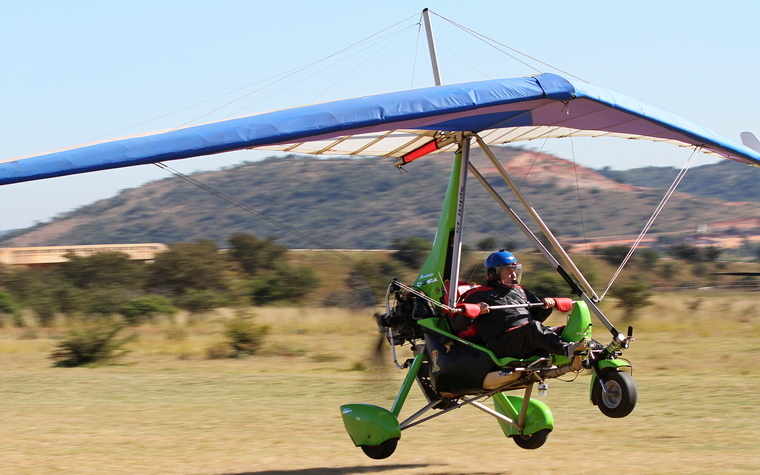 Amongst the visitors were three gyrocopters, three vintage aircraft that included the Luscombe, a Cessna C172, a Piper Comanche, two Bushbabies, a Sling and a number of Vans RV's. The club, chaired by Dawie du Toit served 160 breakfasts during the morning which is a good indication of the number of visitors on the day. 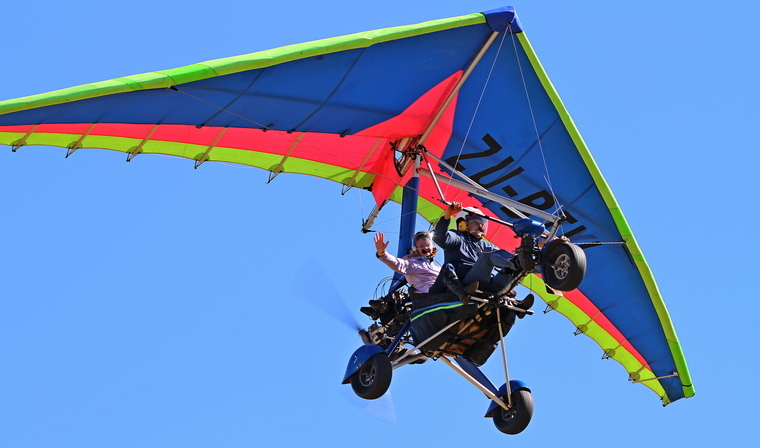 Marius Nel, Doen and Danie van Heerden took some of the visitors, who had never before flown, for flips whilst all the club members contributed in making the day a success. Will Pilots Post be there next year… Without a doubt.